If you heard someone say this, what would you think? That they were deluded, mad or just a bit strange? I used to be quite agnostic about the idea of Past Lives until I visited a healer to try and get at some of the causes of my persistent and life long depression. I took a friend with me, and was pretty unconcerned about the whole deal really. I’ve worked with various healing systems over the years; indeed, I have worked as a healer myself. I do firmly believe that it is possible to transmit healing using the hands and by prayer. However, I really wasn’t prepared for what happened. Without warning or without any sort of suggestion from the healer (he’s actualy quite a famous chap, in this field, and well-respected) I began to relive a previous death. It was as spontaneous as that. One minute I am sitting relaxing on the couch, my friend Claire sitting with me and holding my hand. The next, I am in a filthy dugout amid the trenches circa 1916; I can feel the rough serge of my uniform trousers rubbing as I run for the doorway. I can hear the pounding of distant guns and I know that there’s a shell heading this way. Other soldiers are standing and sitting around, faces pale and blank and scared, but I don’t make it to the door before the shell hits. I lose consciousness and wake to darkness and intolerable pain. I’m lying pinned to the mud, a beam or something from the roof holding me down. I can’t feel my legs any more, and my head is a mess. I can just about move one arm and I bring it to my head. It feels all wrong. Parts of my skull are missing. I can feel my own brain. I vomit. I know I am dying. I can hear groans in the darkness. Others are lying there injured and dying too. I have a thought I should speak to them but the words won’t come. Then I dip in and out of consciousness, wanting to be rescued, but knowing I won’t be and that’s it for me. I’m half conscious when the final shell hits and blows us into the mud. I wake sobbing on the couch. I’ve been narrating what’s happened as I saw it in my head. I am distraught. I feel I have failed my men; I should have shouted, got them out, anything. 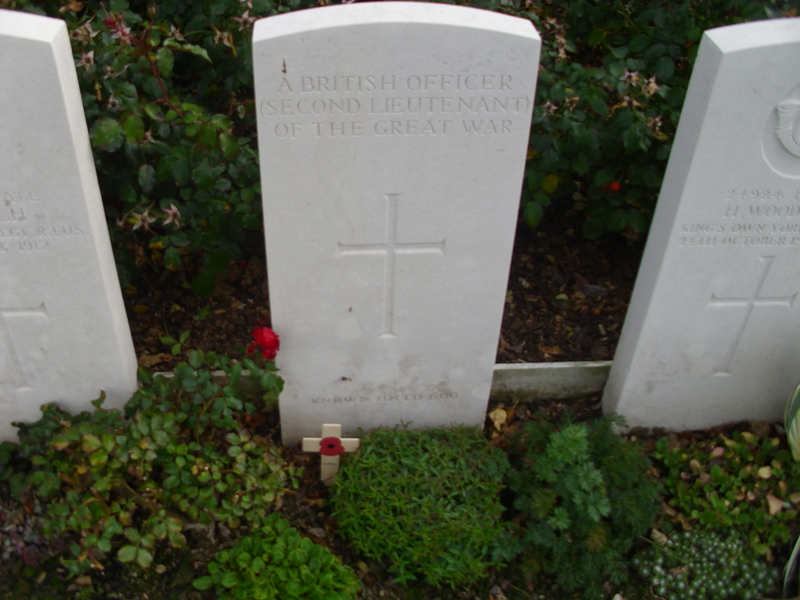 In the mud of the Somme, my bones and flesh mingle with theirs; we have no grave but the mud, like so many from that conflict. The healer talks, his voice soothing. My friend holds my hand still as if she’ll never let go. I move forward. I return to my 20th century body and come back properly, cried out and with a pounding headache. The healer tells me my ordeal is over, that that life is gone. I argue. The souls of the others are not at rest; I can’t rest till they do because I failed them. The fact that there was nothing I could ever have done is irrelevant to the man I once was(and inside I still am). That night, I headed to bed and sat brushing my hair at the mirror and watched in astonishment as my face changed. I saw my last face, the young soldier, a junior officer, and watched as it melted into another and another and another. The faces melted and merged and changed, through centuries and millenia. I saw my face back into almost prehistory before I could take in how old my soul is. That night I dreamed. I dreamed of a great swimming pool, filled with warm and healing waters. I swam in it and the others who swam there were my old comrades, and as they swam, they were restored. I looked at my body in the dream and saw it change as my face had changed, and knew I was becoming something else. I climbed reluctantly out and said goodbye to my old friends and woke in my own bed, feeling strange but cleansed and renewed. I know some will read and think, “She’s insane!” but I’ll tell you something more. That was a turning point for me. I still suffer from depression. But it no longer feels random. It feels as if it’s part of a long life and that those memories will always pop through. I’ve had other flashbacks to other lives. It makes some sort of sense of how I feel about a lot of things, including World War 1. I’ve always wept at the Two Minute silence even before this exeprience. I became hysterical when I first saw the fourth and final series of Blackadder(a comedy series set in the trenches of the Somme) which was before I had this past life recall. 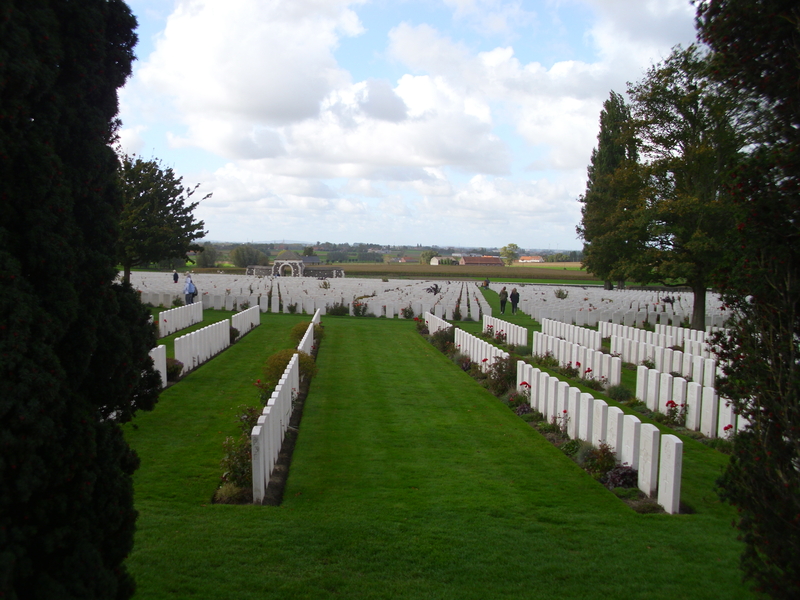 A couple of years ago I also discovered that my great uncle died on the Somme in 1916. However you choose to interpret my experience (genuine past life recall, or the product of a vivid or even deranged imagination) it had a powerful and lasting effect on me.